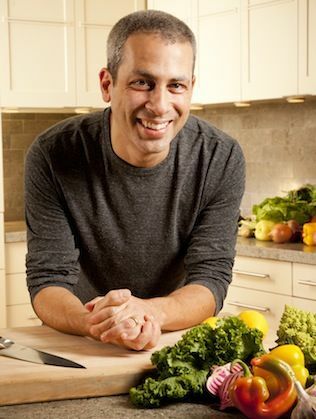 Here's what you encounter when you visit the website for Michael Natkin's new book, Herbivoracious: A Flavor Revolution with 150 Vibrant and Original Vegetarian Recipes, based on his blog of the same name: "I Don’t Care if you are a Vegetarian, Omnivore, Carnivore, Vegan, Pescetarian, or Flexitarian!" And it's true! Whether you're a lifelong vegetarian or just looking to work more meatless meals into your diet, Natkin's refreshing and beautiful recipes are a wonderful place to get started. We spoke with him about how he came to food blogging after a years-long career in computer graphics, what it was like transforming a blog into a book idea, and more. Be sure to check out Herbivoracious (the blog), and find out more about Herbivoracious (the cookbook)! FOOD52: What are the principles behind your cooking in Herbivoracious? Michael Natkin: To me, it's not at all about being preachy, trying to convert anybody to being vegetarian, or telling anybody what they should eat. I think everybody knows for themselves what they love to eat and what's best for them. My whole goal is to say that if you've decided you'd like to eat a meatless meal -- even once a week -- let me help you make sure it's going to be delicious. I'm all about cooking for pleasure; I'm not here to tell anybody what's nutritious or healthy or anything else. But if you want a vegetarian dinner tonight, let's make sure it's really, really good and that you don't walk away saying "Well, I just had a bunch of side dishes," or "I'm going to be hungry in an hour," or "That was boring." It's not about labels -- it's so boring to argue about who's a what, or what you should be. F52: You made a bit of a career switch in becoming a food blogger and cookbook author. How did that come about? Natkin: I've been a programmer for about 30 years, and I started out doing computer graphics. I worked on Jurassic Park and Terminator 2 -- that was really fun! Then I moved on to Adobe, where I worked on a program called After Effects. Simultaneously through all that time, I've been obsessed with food: I would cook and take time off to work at restaurants. I could never get enough, so 5 years ago I started the blog as a way to be able to reach out about my passion for vegetarian food and make connections in the food world. I really had no idea what to expect, and it was amazing that this whole community showed up of people who were vegetarian but also who were not -- looking to maybe eat more meatless meals and finding these recipes that seemed exciting, fresh, and maybe healthy, but mostly just pleasurable to eat. The community built really fast, and Harvard Common Press reached out to me to write a book. So I did that, and developed a bunch of recipes! I did a public beta test of the recipes, which was great -- I had a lot of readers making sure the recipes worked the way we wanted them to. When the cookbook came out a couple of months ago, I viewed that as the moment to pull the ripcord on the software job. I've become a free agent. After the book tour wraps up, I'm going to try to open a very small restaurant/blog test kitchen that will allow me to introduce a lot more recipes. I'm having a blast! 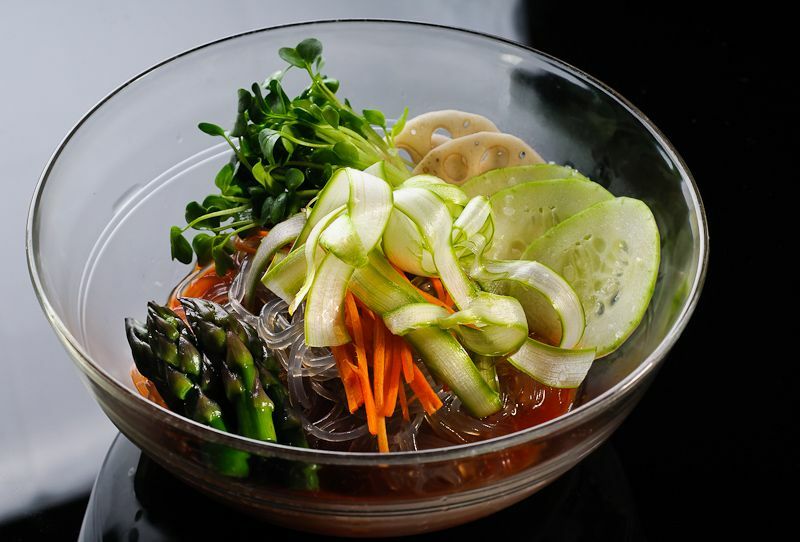 Bibim Naengmyeon from Herbivoracious -- more on it below! F52: There are many influences in your recipes -- Middle Eastern, French, Asian, and more. How do you develop recipes? Natkin: These types of food are comfort food for me. I'm not very inspired by what's called the "standard American diet" -- mac and cheese, for example -- and I think that it's the food least suited to being vegetarian. 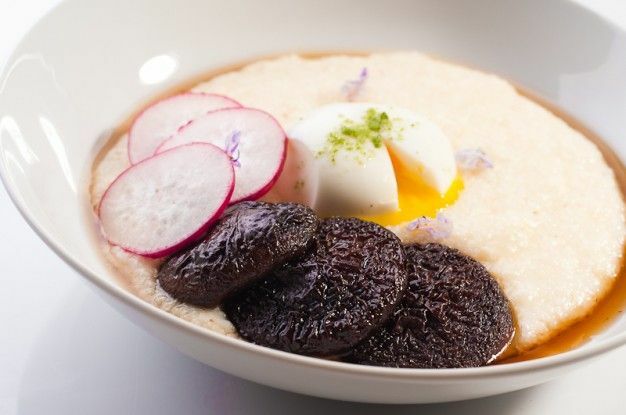 Whereas all these other countries -- India, Mexico, Vietnam, Korea, and more -- have dishes that are either vegetarian, or so close to vegetarian that it's easy to turn them into something filling, hearty, and great. I just eat everywhere, running from restaurant to restaurant, I read constantly, and I watch food TV: it all goes into the melting pot in my head and comes out in the kitchen in different ways. F52: How was the process of developing a cookbook based on your blog? Natkin: It's definitely different -- the blog can be a little more off-the-cuff. I make sure all the recipes on my blog work, of course, but not the way you do when you're putting it down in print for generations (hopefully). Certainly, I had no idea how the publishing industry works. It's been really eye-opening -- it's such a team sport. I mean, as the author, of course I feel like this is my book, but it really is as much the book of the editor, the publisher, the publicist, the book designer. So many people have their hands in making it as good as it possibly can be, and you really come to appreciate everyone who is involved. I loved the process of making a whole bunch of new recipes, testing them with people, and building a coherent narrative to the book itself -- not just working post-to-post like you do on a blog. 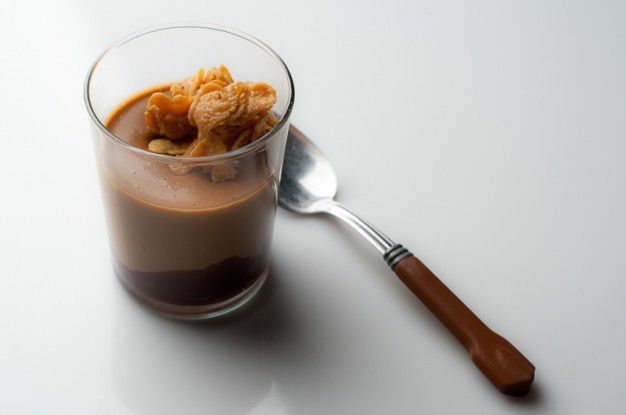 You also get to write the sections about ingredients and equipment that make it more than just a collection of recipes. The readers of the blog have been the best advocates of all for the cookbook! They're the ones who have been talking about it on Facebook, telling friends, and cooking recipes at dinner parties where someone asks, "Where did you get this recipe?" and they tell them about the book. In Boston, I was doing a book signing at a little gift shop and in walks a guy who says, "I came all the way down Maine to meet you, I'm Ben." This guy Ben has been commenting on the blog for years now, he must have commented a hundred times! He tested recipes for the book and he's just passionate about it. People have been amazing -- it's so gratifying that the relationships from the blog are helping me. I feel this sense of community, although many of these people have never met face-to-face. Thanks Michael! 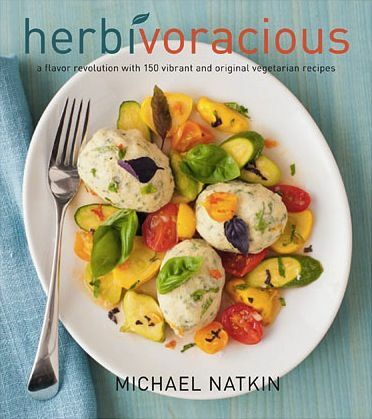 You can buy Herbivoracious: A Flavor Revolution with 150 Vibrant and Original Vegetarian Recipes now, and be sure to check out Herbivoracious the blog!